Fibroblast Plasma Lift is new innovative technology that is a great alternative to cosmetic surgery. Plasma Lift is a surface only, non-invasive and non-surgical procedure that is a fraction of cosmetic surgery costs. 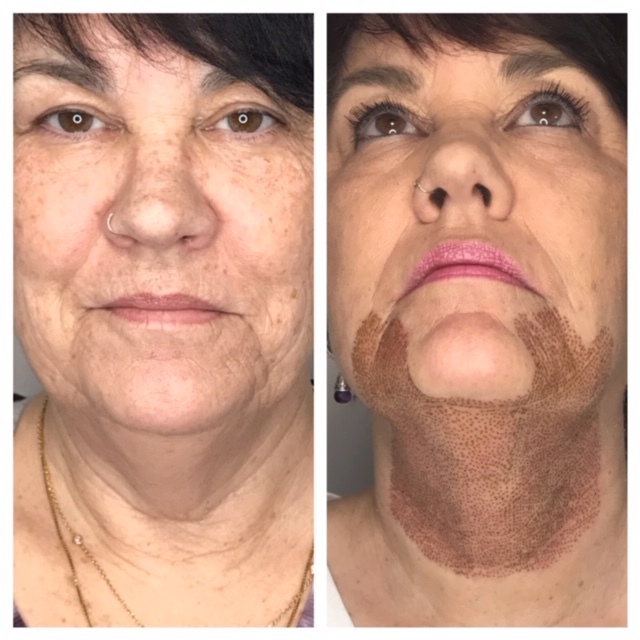 The procedure utilizes an electric spark to create a controlled freckle sized burn on the top layer of skin which shrinks the surface of the skin and the heat of the spark travels to the lowest level of the skin to stimulate collagen and elastin… which is a Win WIN with the results and the cost. *This alternative treatment to cosmetic surgery is done in a series of 1-3 visits. *A treatment procedure will typically take 60-90 minutes (depending on the size of the treatment area). *The carbonized ‘dots’ will fall off within 3-7 days. *Typically there is some swelling and mild discomfort in treated area lasting up to 3 days. *Do Not pick at the treated area! The dots are the treatment, removing them prematurely will lessen the effect and possible scaring . *Younger healthier clients will recover quicker with minimal down time. 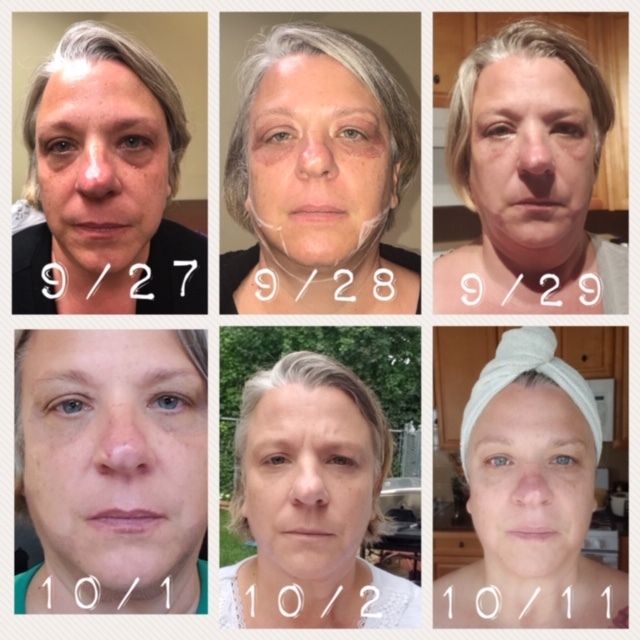 top left before, stages of progress, bottom right 2 weeks post treatment. This procedure has so many positives and very minor if any negatives. The cost of a Plasma Lift procedure is significantly affordable compared to Cosmetic Surgery. Eyelid lift $3,000+ Face lift $7500+ Neck lift $4800+ Eyebrow lift $3300+ etc..
A 15% lidocaine is used to prevent or buffer the treatment area from pain. Generally most people have No Pain.